Category: Blankets and Throws. Tags: gift, hand woven, Morocco, New, Thank you gifts, throw, traditional handicraft, Wedding gifts. 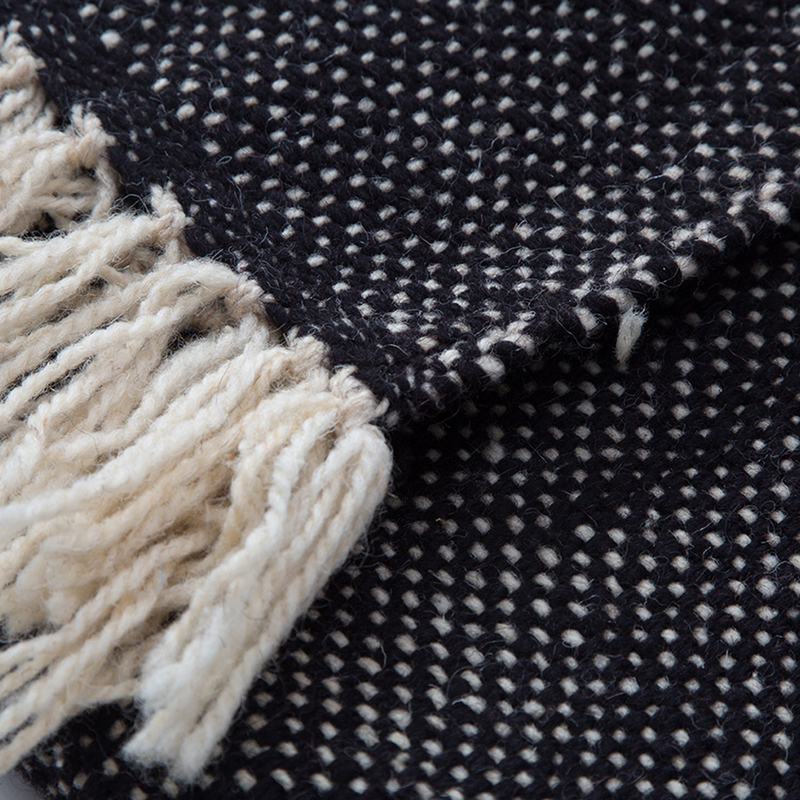 New in – stylish, warm, 100% pure wool blankets in charcoal and natural. 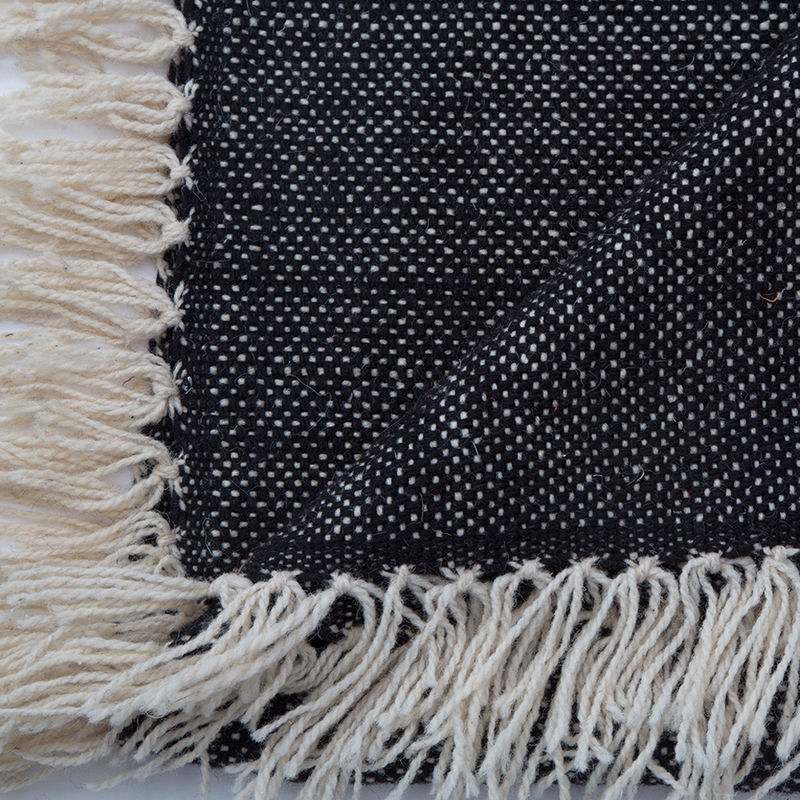 These blankets have been hand-woven for us on a traditional wooden loom in Morocco using techniques handed down from father to son over generations and have been given a contemporary twist with the fringed finishing in natural wool at the head and the foot. They come with a high snuggle factor. 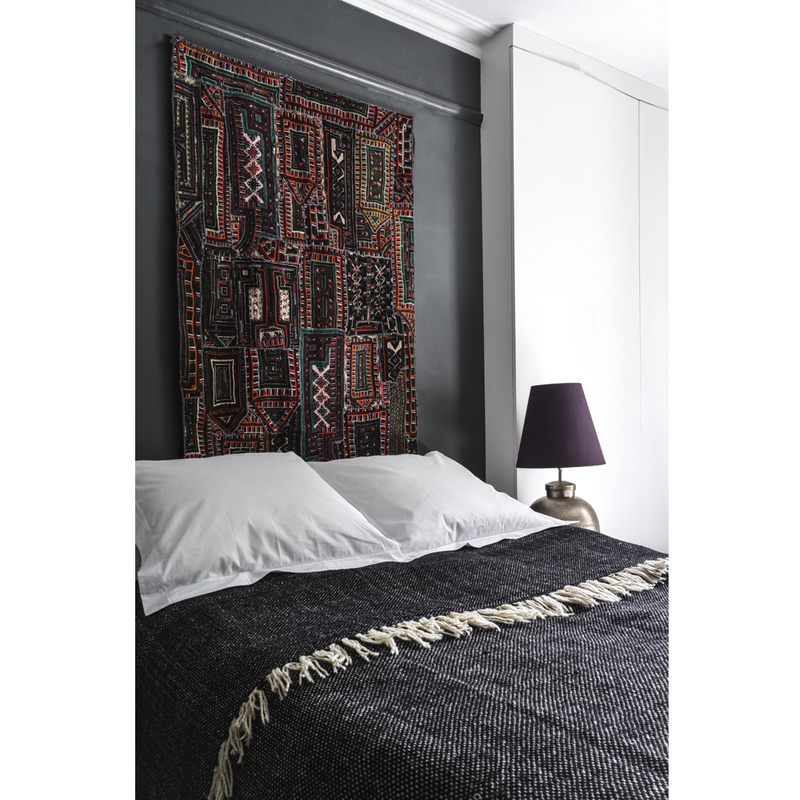 The black and natural blankets in a bouclé weave will give a bedroom a sophisticated update and the throws can be layered over bedding, a sofa or chair. We also have cushions in this combination and in natural.